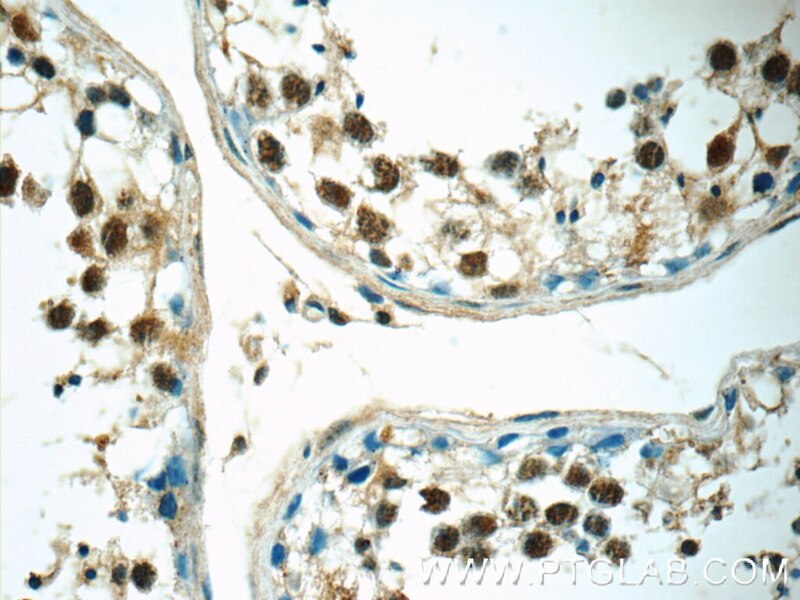 IP Result of anti-RNF8 (IP:14112-1-AP, 4ug; Detection:14112-1-AP 1:600) with HeLa cells lysate 3200ug. 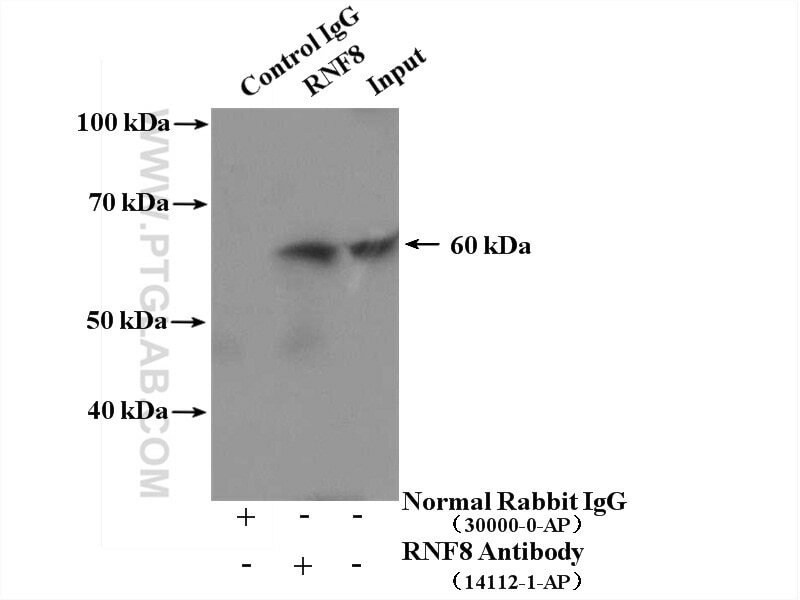 RNF8, also named as KIAA0646 or E3 ubiquitin-protein ligase RNF8, is a 485 amino acid protein, which contains one RING-type zinc finger and one FHA domain. RNF8 localizes in the nucleus and belongs to the RNF8 family. E2-E3 ubiquitin ligase complex is composed of the RNF8 homodimer and a E2 heterodimer of UBE2N and UBE2V2. E3 ubiquitin-protein ligase that plays a key role in DNA damage signaling via 2 distinct roles: by mediating the 'Lys-63'-linked ubiquitination of histones H2A and H2AX and promoting the recruitment of DNA repair proteins at double-strand breaks (DSBs) sites, and by catalyzing 'Lys-48'-linked ubiquitination to remove target proteins from DNA damage sites. 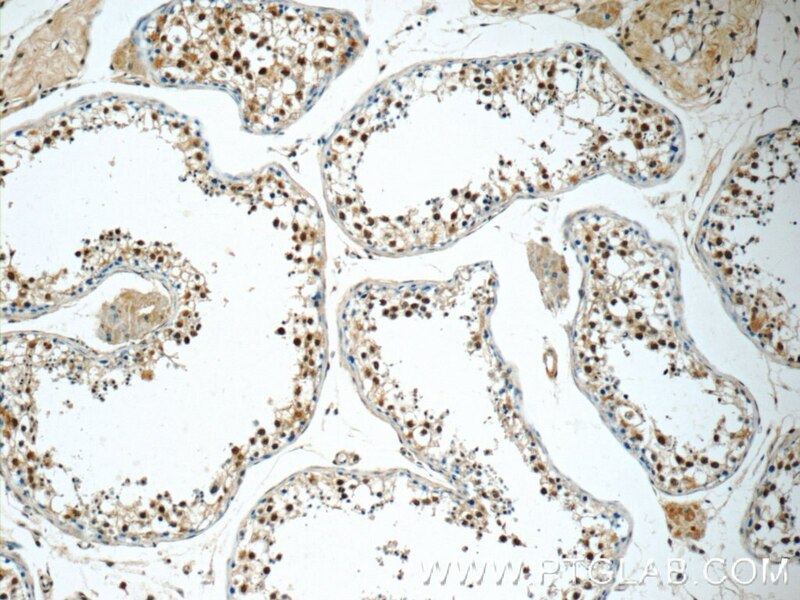 Ubiquitination-Deficient Mutations in Human Piwi Cause Male Infertility by Impairing Histone-to-Protamine Exchange during Spermiogenesis. L3MBTL2 regulates chromatin remodeling during spermatogenesis. The deubiquitylating enzyme USP15 regulates homologous recombination repair and cancer cell response to PARP inhibitors.